It can be a long season so you have respect every opponent. Just two weeks earlier, they were undefeated in the Pac Ten and ranked number three in the BCS, knocking on the door of the National Championship game. 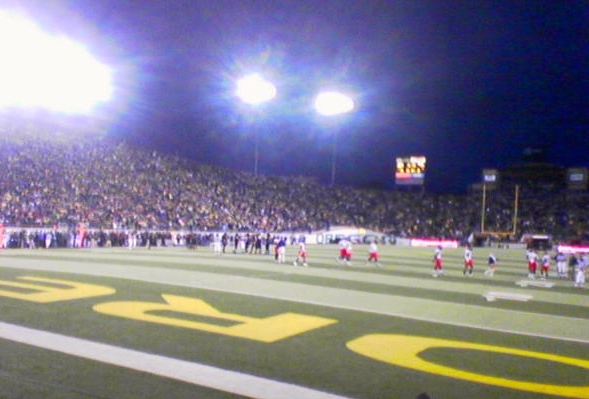 Then came a heart breaking loss to Stanford where the Ducks had to mount a frenzied rally in the fourth quarter only to fall short. They beat their opponent the following week after an unimpressive first half. Instead of taking these less than stellar weeks as a wake-up call, a couple of their star players made comments to the press that implied that they were “too good” for the Rose Bowl. They will likely now have to watch others play in the Granddaddy of all bowl games. They failed to respect their opponents and fell into the trap of assuming their destiny before it had been earned. Unfortunately, this lack of respect and preparation can happen to all of us. When I was a junior in high school I was very active in our school’s Girl’s Athletic Association. This was before Title 9 when the majority of girl’s sports participation was considered recreational. Still, I loved sports and participated in all that were offered. I was a good athlete and had made lots of friends in the process. But when I ran for the position of Lettergirl president, I was defeated by a soft spoken student who may not have had as strong a resume but took the time to prepare a thoughtful speech and expressed a genuine interest in leading the organization. I was surprised when they posted the results, but I realize that my assumption of a destiny and failure to respect my opponent ultimately led to my loss. It is hard to admit, but it is certainly something that I have learned to guard against. I hope my Ducks have learned it as well. This entry was tagged assumption of destiny, BCS National Championship Game, Oregon Ducks, Rose Bowl Game, title 9. Bookmark the permalink.